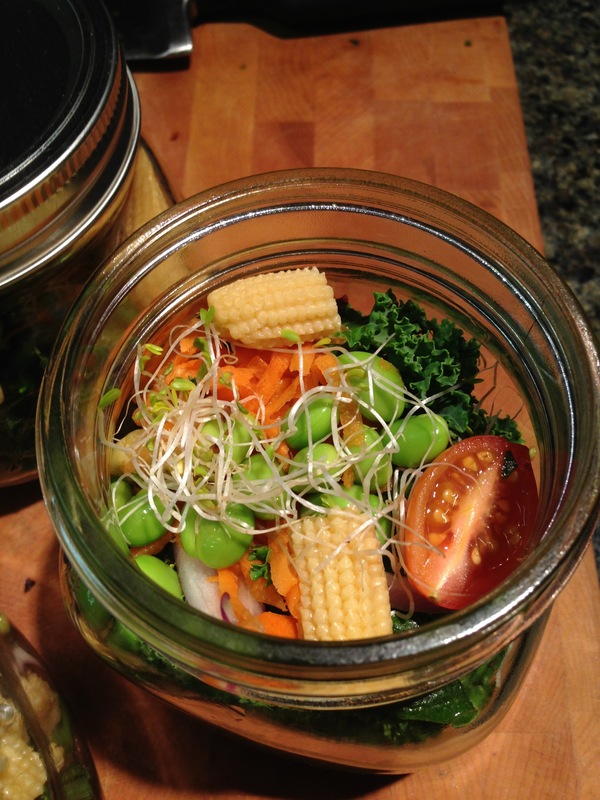 Asian salad mason jar | Day in the life of a little lady with a life goal to inspire. This is a quick and easy mason jar idea 🙂 I decided to create an Asian inspired salad. I want to feature edamame in this post because there are many great health benefits associated with it. Edamame beans are high in protein and low in fat. It also aids with digestion and helps lower cholesterol. 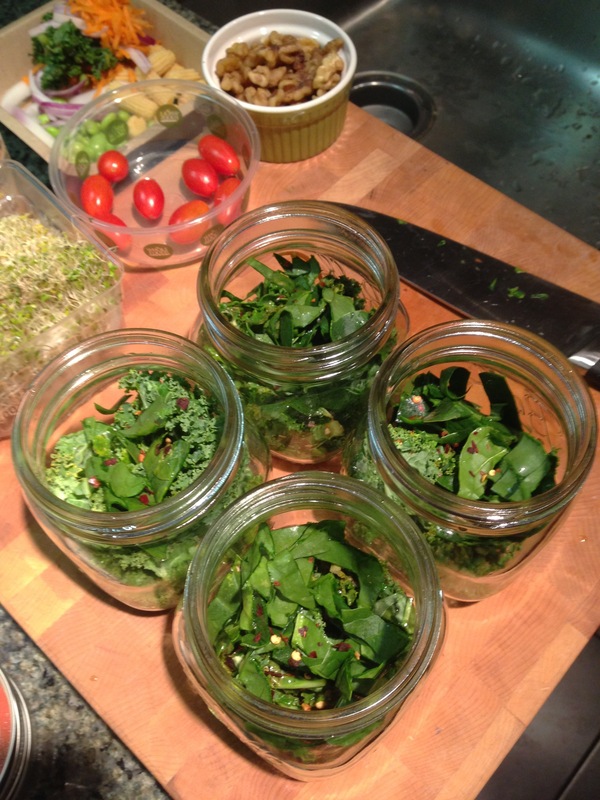 So when prepping a salad in a mason jar, you usually want to put the heavier dense items on the bottom. 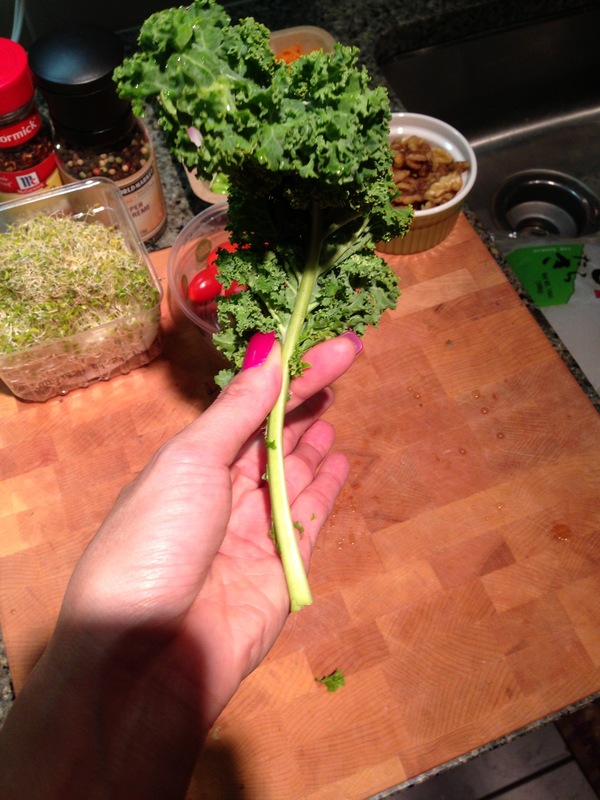 Well I wanted to put the kale and spinach first this time because I wanted it to “merry” with the lemon juice. So I guess, I kinda’ went against that rule 😛 Anyways, you probably noticed that I didn’t specifically write how much of each ingredient I used (or you need). It’s a salad, eyeball it 🙂 Salad are low in calories, so eat as much of this rabbit food as you can! First add the lemon juice (Or whatever dressing you like) and red pepper flakes. It’s my personal choice to use lemon juice because I love the tartness. Next add all the other raw ingredients. When you’re ready to eat the salad, shake the jar, and pour it out on a plate. I actually like to eat it straight out of the jar. The more colorful the salad, the better! 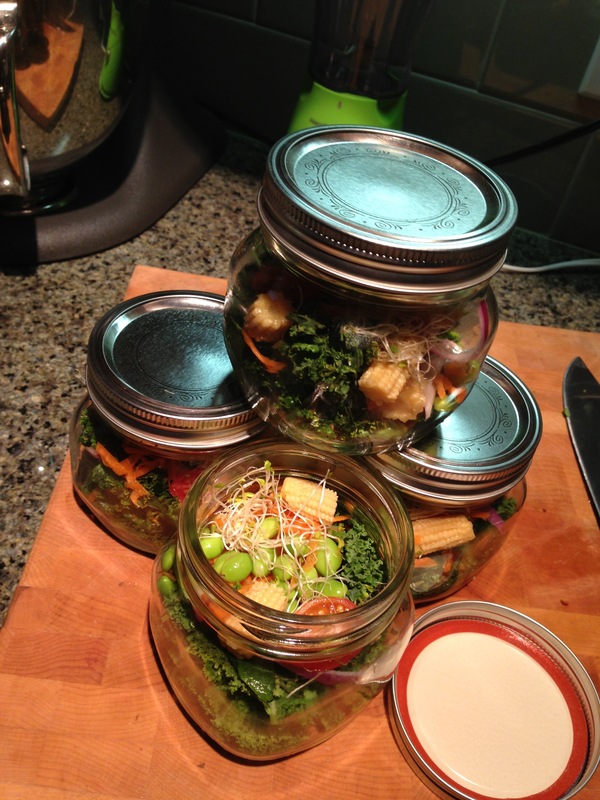 I love using mason jars because its easy to store and easy to take on the go. Obviously, I love that I can recycle these jars. There are endless possibilities 🙂 And besides, they are super cute and fun to use. I have other great ideas that I’ll post soon.